Dr. William Whaley joins the show to discuss melanoma in the eye and diabetes prevention. Dr. WIlliam Whaley addresses viewers’ questions on lung nodules and random numbess. 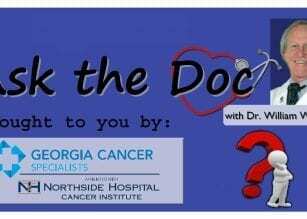 Dr. Whaley joins the show to answer one viewer’s questions about adrenal cancer and another viewer’s about feeling numbness.